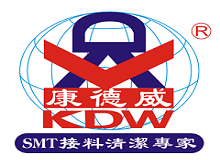 Product categories of SMT Equipment, we are specialized manufacturers from China, SMT Equipment, SMT Placement Equipment suppliers/factory, wholesale high-quality products of SMT Conveyor Equipment R & D and manufacturing, we have the perfect after-sales service and technical support. Look forward to your cooperation! Mactech SMT Equipment is a collection of SMT production line solutions. MT SMT equipment provides different solutions for different SMT production line process requirements. MT equipment is made from durable and branded parts to provide best and effective results. For more information regarding SMT equipment, you can contact us well provide all the details you need. You may also visit our official website to check for product catalogs and technical information about our products.